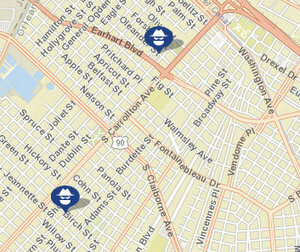 A man in his 70s was robbed at gunpoint on Fern Street on Saturday night, and a 30-year-old man had his rental car taken early Monday on Eagle Street, New Orleans police said. Around 11:20 p.m. Saturday, March 1, a man in his 70s was getting out of his vehicle in the 1600 block of Fern Street (near Birch Street) when he was confronted by an armed man, according to the initial NOPD report. The gunman demanded the victim’s money, then left with it, the report states. Shortly after 1 a.m. Monday, a man in his 30s was confronted near Eagle and Apricot streets by an assailant who put a gun to his face, according to the report in that case. The gunman took the keys to the victim’s rental car and drove off in it, a white, four-door Chrysler 200, the report states.